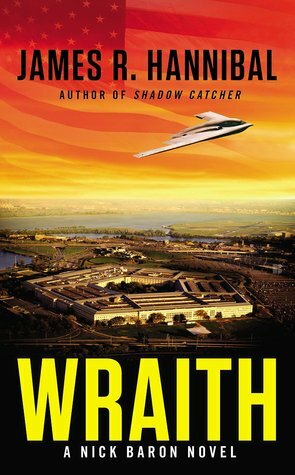 Wraith is, by no stretch of the imagination, a light read. Be prepared to be overwhelmed by details – details about everything from exactly how an Irish Cross is carried out ‘arguably the most complex maneuver in the Warthog tactics manual.’ And no, that isn’t something from Hogwarts – It is a four aircraft multiple weapon attack on a target – to every single step, step by (for me) excruciating step, including weapons, planes, and everything else required in war. I wanted to read this book. I really like military thrillers, and, if these are the types of books you like, I would recommend you try it out. The problem for me was that it simply exhausted me – from word choices to descriptions, there was just too much. Too much description, too many jumps between settings. The overall writing and plot could have been so very much better with a good, sharp editing pencil. Of course, that is my opinion – for many readers of military thrillers, this is just the sort of read they are searching for and will absolutely love Wraith. The plot is good, though very heavy in the overall concept. But if you are extremely interested in warfare and all of its levels, this is an exceptional book to meet that armchair warriors needs. I received an e-ARC through the publisher in exchange for an honest review. This in no way influenced my opinion. Nah, that’s all right, Dr. Oppenheimer. You can rest quietly in your grave. Because you’ve got nothing on this shiny new toy. For you see, it is really quite odd, isn’t it, that only the politicians and military survived in the US. Well, and the medical personnel. Because you really do need a nurse sometimes. There are of course shadows of Stephen King’s The Stand here (I own the ‘Complete and Uncut edition’). As well as The Demon in The Freezer and The Hot Zone. Richard Preston did a great job with those. 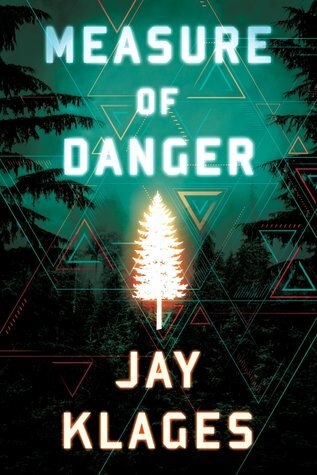 But while King relies on a supernatural basis for his story, and Preston uses a light hand in his works, Nita DeBorde rips off the bandages, tears off the scabs, and runs full bore into the glaring, painful light of reality. Hitler, Pol Pot, and the American government that chose to drop the bombs on Hiroshima and Nagasaki and to conducting biological, chemical and radiological experiments on American citizens, is no more than dabbling a toe into the demonic waters of biological and chemical warfare compared to this small group of politicians and military personnel. 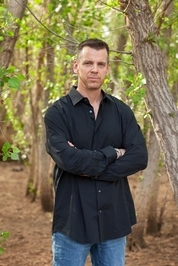 From Tuskegee to Project F, the Guatemalan Experiment, MKULTRA and Dr. Robert MacMahan’s 1969 request for funds for synthetic biological agent to which no natural immunity exists, to the 1995 confession by Dr. Garth Nicolson that biological weapons used during the Gulf War were not only manufactured in Houston and Boca Raton, but were tested on Texas Department of Corrections Prisoners (Ha! Take THAT Iraq, Iran and Afghanistan! You can’t do it, but WE CAN! Goooo America!!!) the American government has shown all the moral and ethical solidity of a three-year-old handed an Uzi and set amongst his fellow babes. But this time? The safety is off, the gun is locked and loaded, and the whole world goes down. And you know what? 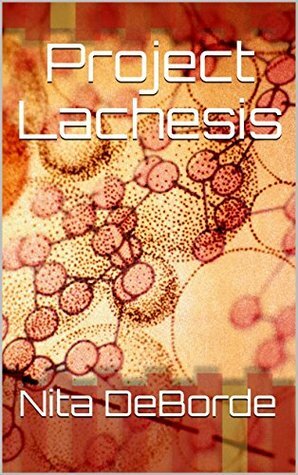 I received Project Lachesis from the publisher in exchange for a realistic review. All thoughts are my own, including the thought that I am going to be stalking Nita’s Nook, the author’s website, hoping to be there when she needs a beta reader for her next book. This woman is AMAZING!!!! Nita DeBorde is a published author and professional copyeditor and translator from Houston, TX. Nita taught high school French for fifteen years before leaving education in 2014 to focus on a freelance writing career. Review: White Plague by James Abel -Stunning! It begins, as do many things, death amongst them, with silence. The pleas for help stopped coming just after five in the morning, Washington time. The Pentagon staffers cleared for handling sensitive messages sat in horror for a moment and then tried other ways to reach the victims. Nothing worked, so they called the director, who phoned me. And what follows horrified me, chilled me to the bone, and kept me reading four hours past when I should, by all reasonable measure, put it down and gone to bed. And horrifying the story is, for a lot of different reasons, but mainly? For the absolute, gut wrenching reality of it all. And just how true it is – how likely that something like this will happen. Lt. Colonel Joe Rush gets the call at 1am, Anchorage time, as he pounds the streets, running from sleep, running from memories. Memories of decisions which saved lives, while taking others. Which left him with the weight of the world on his shoulders, the blackness of grief in his heart. Two weeks. Just two weeks until he retires. And now, this. A new submarine prototype has surfaced in the Arctic – and it is burning. One-hundred-fifty seven souls, trapped on the ice. And no one is near enough to reach them except the single ice breaker the US government has funded to handle the vast spaces of the Arctic waters. Colonel Rush, MD and virology specialist, must get to them as quickly as possible if they are to save the people and salvage the submarine before Chinese or Russian icebreakers claim it for their own. Monster storms, crushing ice, bone breaking cold – all are threats which Rush, the few Marines who accompany him, and the few Coast Guard sailors handling the Icebreaker Wilmington must meet and overcome to reach their burned and stranded submariners. The sick submariners. For a sickness is burning through the crew, a sickness that no one can identify. It becomes a race, a race to save the people, to save the submarine, and to avert a single incident that could be the linchpin starting World War III. For as global warming breaks up the ice, opening trade routes and access to unknown stores of oil, gems, metals and trade routes, the political machinations have begun. Great beasts of war are gathering, stomping their hooves, waving their swords, and foaming at the mouths for the blood of those they would call ‘enemy’. What is the sickness? Where did it come from? And more importantly, can it be cured before the political machine does the unthinkable in a move to ascertain it’s own power? And who aboard the Wilmington is a traitor? And how high do the traitor’s contacts go – and to whom does he report? All these questions and more make this a hair-raising, edge-of-your-seat military suspense/thriller beyond compare. With it’s roots dug deeply into current political and military policy, White Plague is, beyond a doubt, the BEST military suspense thriller I have read this year. I received the book from Penguin’s First To Read program in exchange for a realistic review. All thoughts are my own and are not affected by this fact. For more information on First To Read, click.